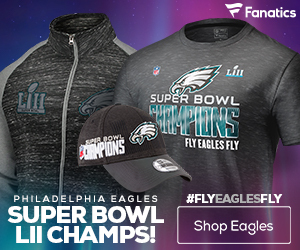 The Falcons and Eagles wrapped up a deal Wednesday that sends veteran cornerback Asante Samuel to Atlanta in exchange for an undisclosed draft choice, the Falcons announced on Wednesday. While the draft choice was not disclosed, D. Orlando Ledbetter of the Atlanta Journal-Constitution reports that the Eagles will receive the Falcons’ seventh round draft choice, the 229th overall pick in the draft . Samuel has also agreed to restructure the two years and $21.5 million remaining on his contract, agreeing to a three-year, $18.5 million deal with Atlanta. Dimitroff was the Director of College Scouting with the New England Patriots when they selected Samuel in the fourth round of the 2003 NFL Draft. 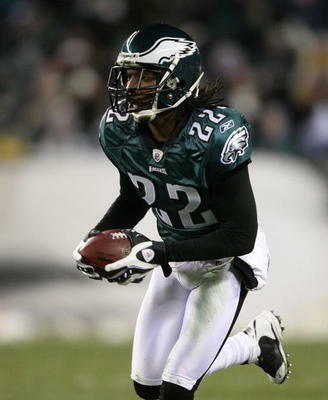 During his nine-year career, the last four with the Eagles, Samuel has 45 interceptions, five he’s returned for touchdowns, and 123 passes defensed, earning four trips to the Pro Bowl (2007-10). Samuel gives the Falcons a third starting-caliber cornerback, joining Dunta Robinson and Brent Grimes. Robinson restructured his contract last month, reducing his cash payout this year by $4 million, though his $5 million salary is guaranteed. Grimes signed his franchise tender on Tuesday, guaranteeing him $10.281 million for the upcoming season. 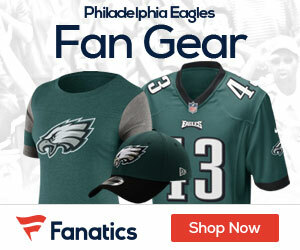 By trading Samuel, the Eagles save $10 million in cash and clear $9 million in cap space, both of which could be used to extend the contract of running back LeSean McCoy and perhaps Dominique Rodgers-Cromartie, who will replace Samuel in the starting lineup and has just one season remaining on his current contract.